Gold prices edged down by Rs 15 to Rs 26,660 at the bullion market owing to weak global cues amid sluggish demand from jewellers. However, silver regained the psychological level of Rs 36,000 per kg by gaining Rs 100 on increased offtake by industrial units and coin makers. 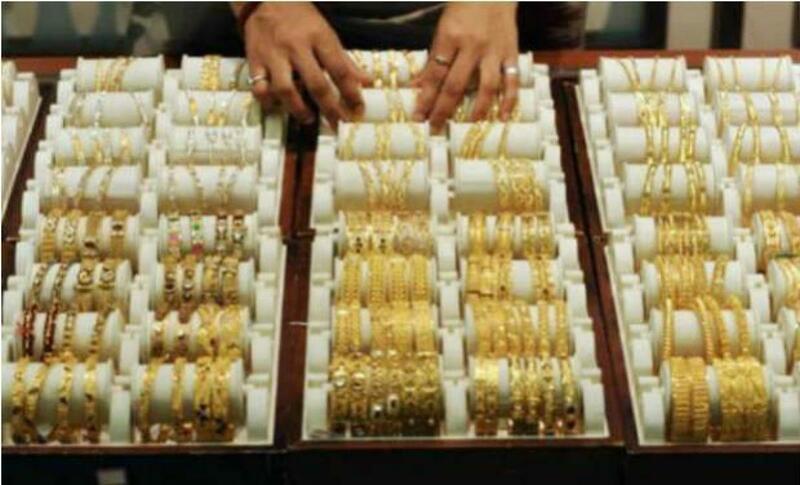 Bullion traders said besides weak global cues where it slipped from over two-week as some Federal Reserve policy makers suggested the US central bank may still raise interest rates this year, subdued demand from jewellers and retailers mainly attributed fall in gold prices. Globally, gold lost 0.3 per cent to USD 1,136 an ounce in Singapore. In the national capital, gold of 99.9 and 99.5 per cent purity shed Rs 15 each to Rs 26,660 and Rs 26,510 per ten grams respectively. The precious metals had gained Rs 75 on Saturday. Sovereign, however, held steady at Rs 22,300 per piece of eight gram in limited deals. On the other hand, silver ready rose by Rs 100 to Rs 36,000 per kg and weekly-based delivery by Rs 35 to Rs 36,105 per kg. Silver coins after moving in a narrow range in scattered deals, settled around previous level of Rs 52,000 for buying and Rs 53,000 for selling of 100 pieces.